Some time ago I wrote an article about how to Install NAKIVO Backup & Replication in a QNAP NAS in this article I will write about how to Install NAKIVO Backup & Replication 8.1 in a Synology NAS. Even the first article was about NAKIVO Backup & Replication v7.0.x, the process for version 8.1 is similar, even for different NAS systems. 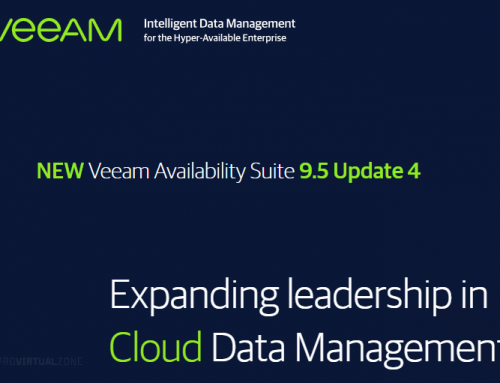 First, you don’t need a new VM, or physical Server to manage your Backup infrastructure. Second, you don’t need extra Guest OS licenses. Third, you have better performance on your ESXi hosts (since the load is on the NAS) and also in the source Storage. Forth, less load in the Storage Network. 2x physical vSphere 6.5 hosts (DL360 G7 with 100Gb memory each). 3x Nested vSAN vSphere 6.7 with 25Gb memory each. vSAN Nested Storage Disk provided by StarWind Storage. Synology NAKIVO App – 300Gb Volume created in the Synology. Note: Since this is a test environment, is not a problem having the VMware environment and Backup environment in the same Storage system, but Backup Best Practices is that both should run in a different Storage system. Before we start the installation and testing, I will share some resources allocation on my Synology before using the NAKIVO App so that afterward we can compare. On the memory level, Synology is using between 2% – 3% of the 16Gb memory. On the CPU level, Synology is using the same amount of percentage. Around 2-3% of Synology CPU. Note: These memory and CPU resources numbers are shown when there was no activity at the Virtual Infrastructure (like vMotion, vStorage or Snapshots). How to Install NAKVIO Synology App. First, you need to find the NAKIVO App in your Synology apps to install. In the main page click in the Package Center. Next, in All Packages search for the NAKIVO App and install. NAKIVO app will start to download and install. Note: You need to have space in your Synology system volume to install the App. If you don’t have space, check your settings and increase your System Volume. After accepting the License Agreement, click Apply to Finish the installation. Now your NAKIVO App is available in your Synology Apps. Next, you create the initial user to use your NAKIVO Backup & Replication. Next, you can start configuring your NAKIVO Backup & Replication environment. For this testing, I add these two vCenters from my environment. Note: There is no difference configure NAKIVO App to the Windows version, the only thing that you need to take in attention is the Backup Repository. 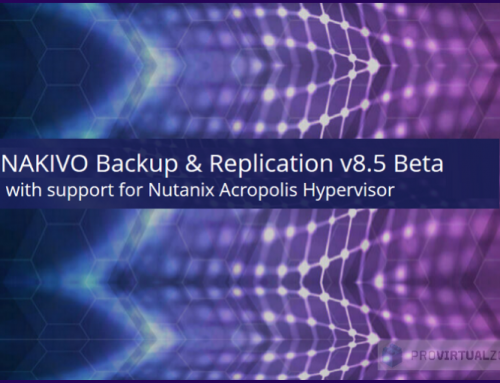 By default NAKIVO Backup & Replication App use the system Volume as the default Backup Repository. If you don’t change this, you risk that your Synology System Volume is full after a backup and you have issues with your Synology. Create a second and independent Volume as NAKIVO Backup Repository. Create a new Volume and added to NAKIVO. You need to have your Volume path to able to use in NAKIVO. Add the path and create the Backup Repository. Now you have both Backup Repositories. For safe side, I recommend you delete the Default Backup Repository. Next, let us create a backup job for the testing. For this Backup job; the same vCenter, same VMs, and the same configuration was used for NAKIVO Synology App and NAKIVO Windows software. 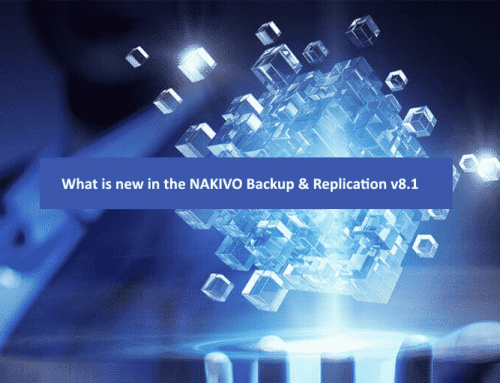 After the backup job is created, let us launch the backup to check and compare the stats from NAKIVO Backup & Replication Synology App and also from NAKIVO Backup & Replication Windows. Looking at the Backup speed, Windows version software did have better performance. With peaks of reaching 500Mb/s and medium 86Mb/s, while NAKIVO Synology App did add peaks of 80/Mbs and overall a medium of 55/Mb/s. However, there is not a big difference in the overall but did impact the time to finish the backup. There is some difference between the two tools. One backup did take less than 1h to finish; the NAKIVO Synology App did take around 1h:30m. – So NAKIVO Windows Software wins 1 point here. NAKIVO App and Windows Software. As we can see in the next image, CPU usage in Synology was higher when using the NAKIVO Windows version. – So NAKIVO Synology App wins 1 point here. Note: No significant differences in memory Synology usage between both tools. Results are similar in both tests. In the Synology Network (Storage and O&M Network) we see some differences. When using the Synology NAKIVO App there is less communication between the Synology NAS and the ESXi hosts in the iSCSI (Storage) network, but some of that communication is forward trough management network. While when using NAKIVO Windows version no O&M network is used (like is suppose to be). Troubleshooting the reason why is NAKIVO Synology App is using so much O&M network, I realize that the NAKIVO Windows version was using Backup transport mode Hot Add, while NAKIVO Synology App was using LAN Mode. Since Hot Add can read data directly from VM datastores, bypassing the host’s TCP/IP stack. This also the reason why the NAKIVO Synology App Backup speed was low that the NAKIVO Windows version. Why NAKIVO Synology App is not using the direct connection to the Storage itself to process the backup, is something I need to investigate further. Because it makes more sense than using LAN, since it is in the same NAS, or use SAN mode that is similar. Note: Using my NAKIVO Windows software VM as a transporter for the NAKIVO Synology App I was able to backup using Hot Add mode and increase the backup speed. But that will remove at least two of my initial reasons to use the NAKIVO Synology App instead of the Windows version. To further investigate and test. – So NAKIVO Windows wins 1 point here. As we can also check in the Physical Cluster in the vCenter CPU usage, again NAKIVO Windows Backup software has consumed more CPU than when we are using the NAKIVO Synology App. These are all the tests that I have made with both NAKIVO tools (Windows and Synology App). Counting my test points, NAKIVO Synology App had 2 points, and Windows Backup software also had 2 points. NAKIVO Synology App did win the resources usage (of source and destination). So Synology CPU and ESXi hosts CPU had less stress and better performance while backups were running. This is important for a production environment because the backups will not impact your VMware environment and eat resources that are needed for the running VMs. Windows Backup software did win in the backup speed and using less network int the Storage management network. Using the management network is not a big issue, but having better backup speed and bandwidth is something that you need to account when planning your backup environment. 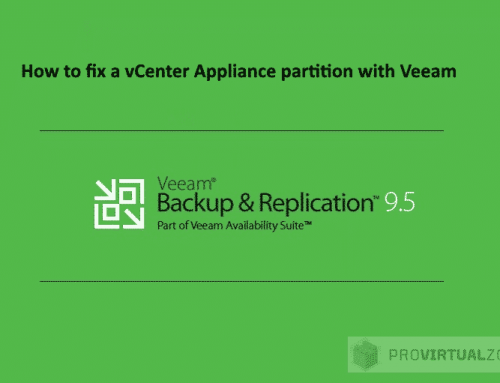 With hundreds of VMs to backup, the differences between both options can be significant. So my conclusion and looking at my statistics, in this case, if I need to decide, I would use NAKIVO Synology App, mainly because of the less CPU in the ESXi hosts, and mostly in the Storage System (because same Storage is used for the VMware environment).